Pakistan’s government has congratulated the BJP on its victory in the elections and looks forward to working with Modi. Pakistani Prime Minister Nawaz Sharif’s office announced on Friday that it had called Narendra Modi to congratulate him and the Bharatiya Janata Party on their landslide victory in India’s national elections. The BJP ended up taking a majority in parliament outright. The election results mark the largest majority afforded to a non-Congress party in Indian history and will ensure that the BJP is able to pursue a strong agenda on economic and foreign policy issues. Sharif lauded the BJP’s “impressive victory” and cited his working relationship with India’s last BJP prime minister, Atal Behari Vajpayee, as the foundation on which to base India-Pakistan relations in the near future. Modi has stated in the past that he admired Vajpayee’s approach to dealing with Pakistan. According to Pakistan’s Tribune, Sharif’s government has been engaged in behind-the-scenes diplomacy with the BJP following the party’s victory to maintain the present momentum in bilateral relations through the political transition in India. Pakistan’s High Commissioner in New Delhi Abdul Basit has reportedly been in contact with BJP officials — possibly even Modi — to convey Islamabad’s eagerness for “meaningful engagement” with a BJP government. For Pakistan, the election of Modi, a relative hardliner, presents a varied set of challenges and opportunities. Modi, who has been criticized for his indifference to Muslim suffering in 2002 when the Godhra riots claimed hundreds of lives on his watch as Chief Minister of Gujarat, has made statements to the effect that he may not be willing to practice restraint where the UPA-led government did over the past ten years. 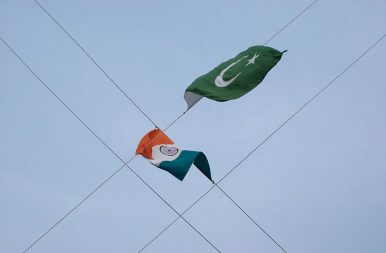 Although there has been a relative decline in 2014 of cross-border skirmishes and incidents originating in Pakistan, should the BJP’s election result in increased tensions across the border, India-Pakistan ties may take a hit. Mistrust, of course, continues to persist between India and Pakistan. India accuses Pakistan’s military and Inter-Services Intelligence (ISI) as actively fomenting militancy within its borders while Pakistan similarly charges India with supporting insurgents in Balochistan. In the final days of the UPA-led coalition govermment in India, both countries made some progress on bilateral trade, including Pakistan granting India most-favored nation (MFN) status. With the BJP’s election and strong parliamentary majority, the peace process could find new momentum. The Indian prime minister's ill-advised comment could come back to haunt India.